Another Sunday, and another time for my weekly recap. 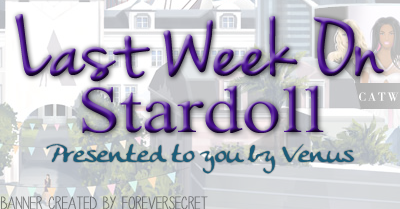 So, as usual, if you didn't visit Stardoll last week, and/or want to catch up with new events, releases, etc - this is for you. Here we go! New Young Hollywood mini collection arrived in plaza on Tuesday. This collection, as well as another one last year, was inspired by MET gala. It came out at quite unusual time, and I was lucky I didn't have classes at the time, so I got them all. First, I would like to mention a glitch that happened. When the collection got released, it was not limited. I still bought it, as some others, but it did not show item id number in our suites. Later they made it limited, but when I went to see what number I got - well it was 0, and I am not the only one. It still says 0, so I hope Stardoll fixes it soon. On the other hand, I love those mini collections, as I get to grab some nice limited stuff and not spend a fortune. On the overall look: Naomi dress (1st to the left) is nice, but maybe it would have looked better without the fur on the side, and dress and fur being sold separately. The dress in the middle - love the shape, dislike the color. Original dress looked quite nicer. 3rd dress is okay too, but seeing the other dresses from the gala, Stardoll could have picked some better ones. New Callie's Picks on Wednesday, the theme is "Boho Chic". Now, I do not say I have a certain style, neither on Stardoll or real life, but this definitely isn't. There are some rares, as usual, and I am so happy that brown leather bag got released, because it is adorable, and people were selling it for crazy prices. Other than that, I am skipping this collection. Yeah, prices are, as usual, higher than original prices, and only a few starcoin items. On Friday, Stardoll decided to surprise us with a nice 3 for 2 sale. 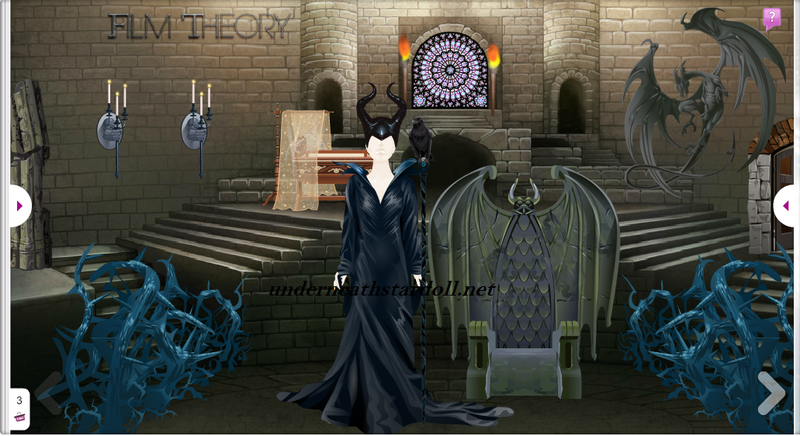 The same day, we got new Film Theory collection, inspired by the Disney movie 'Maleficent'. The interior items are dark, and maybe a bit creepy. But as usual, there are users that love that style. The outfit is nice, too. Again, love the idea behind the collection, and there are some items that can be used in 'ordinary' rooms. Interesting week. Still waiting for that LE Decor. (Not me, others.) And the long ago hinted update. Okay, I know it is not easy adding new features, (well, I guess), but why teasing us? Also, expecting new Strike-a-Pose? Please, not yet! As usual, vote, and see you next week.